Oktoberfest is one of the most famous events in Germany and is so widely celebrated by 6 million people in the world. But if you missed your chance to board a Lufthansa flight and travel to Germany for all the fun, GAB has got us covered. 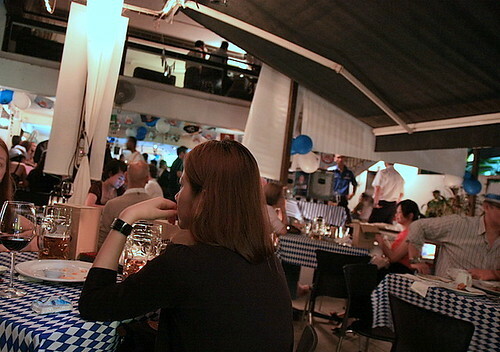 GAB once again celebrates Oktoberfest in different restaurants and pubs in Malaysia this year. The month long event is going to be so fun! 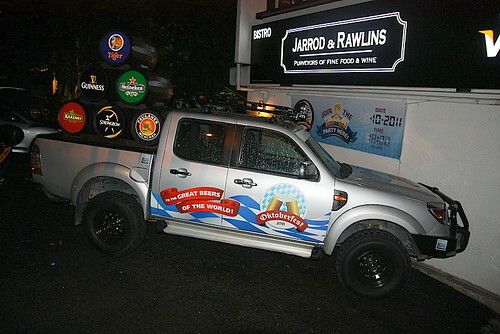 Together with my partner in crime, we attended the Oktoberfest celebration at Jarrod & Rawlins. 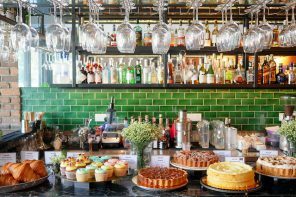 Jarrod & Rawlins is a great place to let off some steam after a hard day at work. 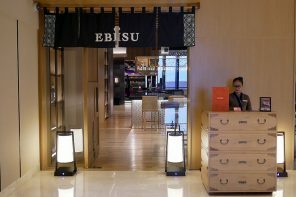 I can’t recall when was the last time I came here. 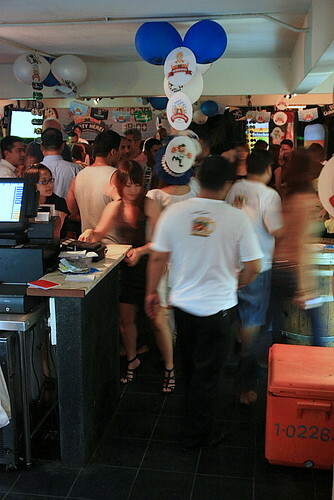 Oktoberfest added more fun to my usual happy hour here – just imagine an all you can eat, drink and dance celebration. I love the festivity feeling here; with hanging banners, checkered table cloth, good music and gorgeous Bavarian ambassadors. 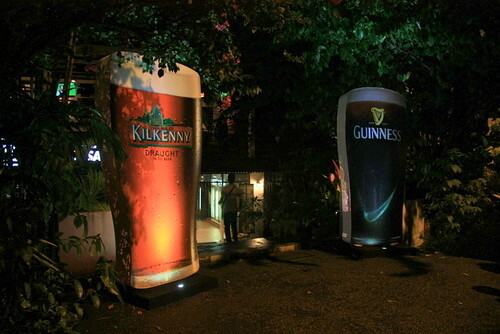 Did I tell you that Paulaner, Strongbow, Guinness, Tiger Beer, Heineken and Kilkenny are on happy hour all night long on draught? Same goes for the other GAB Oktoberfest celebrations. I was happily chugging my beer – Strongbow and Hoph Ice Beer. 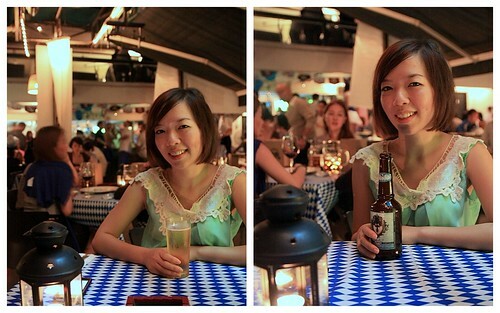 One should have a taste of these exclusive Oktoberfest beers – Paulaner Oktoberfest Bier, Hopf Ice Beer, and 111 Zwickl. 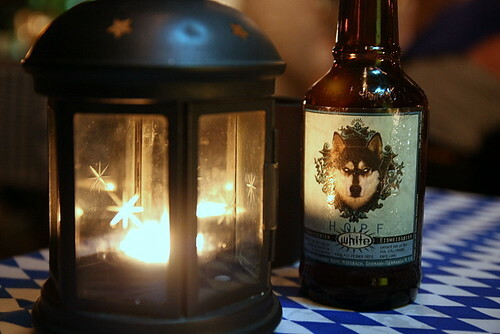 The Hopf Ice Wheat Beer, is known as the ‘hip hop’ white beer. Its ice-conditioned wheat has its excess water filtered off through freezing. This unique brewery process gives the beer its fruity rich flavour that develops into a citrus lemon-like aftertaste. Of course, where there is good beer, there must be good food. 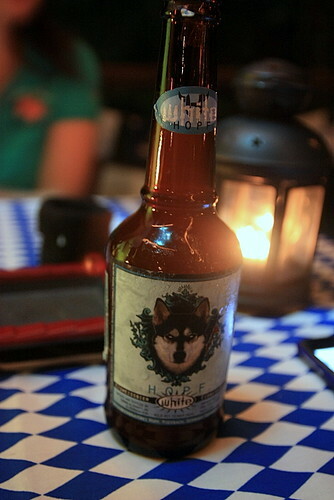 The spicy dynamite sausage enhanced my enjoyment of the Hopf Ice Beer. Dressed in traditional Dirndl dress, the gorgeous Bavarian ambassadors appeared to be so friendly and bubbly. 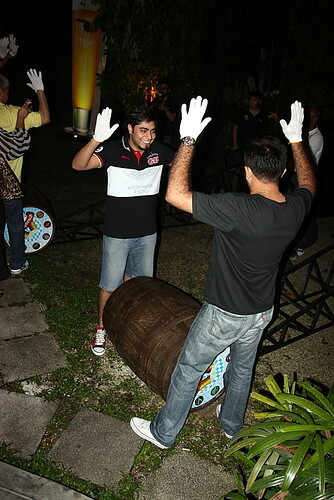 To quench your thirst for the real German way of celebrating Oktoberfest, partake in this interesting Oktoberfest game – Roll Out the Barrels. We cheered along and sweated a little as the contestants were so fast moving. It was a close match! It was a super fun evening with my favourite beers and all that fun! 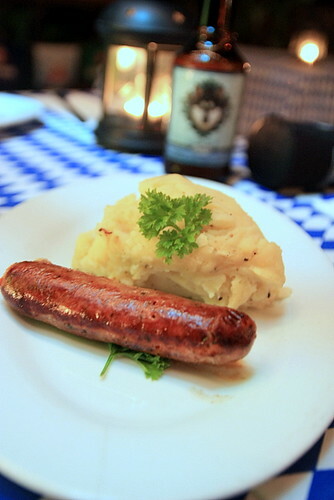 Visit www.facebook.com/OktoberfestMY now and find out where you can go for a GAB Oktoberfest celebration! 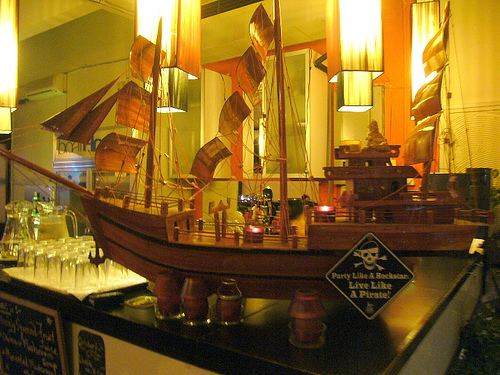 .-= KY´s last blog ..KY eats – Ibu Oka Babi Guling, Bali =-. Seems to be a great fun … Wish I could be there with you guys. 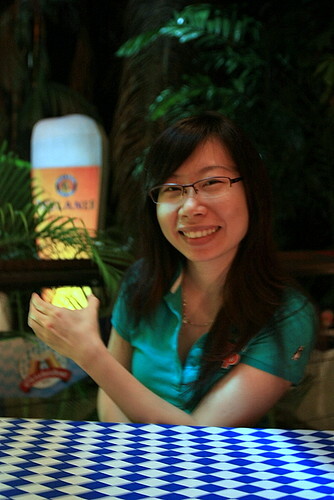 I got my GAB Oktoberfest celebration on Genting – Patio. 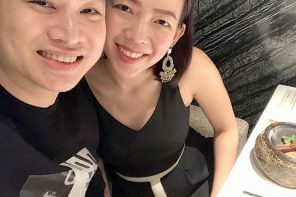 .-= 追食富地´s last blog ..RESTORAN YUE YANG LOU @ Dataran Mentari Bandar Sunway =-. 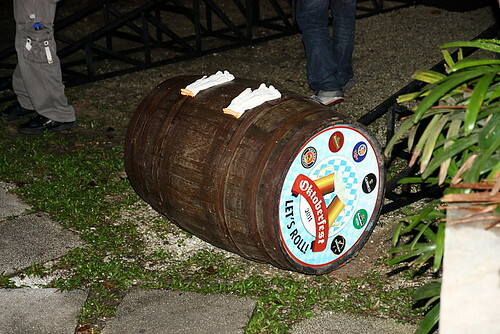 OktoberFest starts in Mid September and ends in the first week of October, By now it would have ended in Munich.